Mulvihill suggested that with partition, this two-culture divide became entrenched, with Dublin becoming a town of poets and Belfast finding “poetry don’t drive many rivets”. Desmond Fennell has argued that this also extends to philosophy, with contemporary Irish philosophers being ignored. This ties into issues of Irishness. Nineteenth century writers such as Matthew Arnold said the Celts naturally rejected “the despotism of facts”, an idea that seems to have been absorbed into Irish identity despite the number of philosophers and scientists that Ireland has produced. In fact, the earliest proto-scientific writing from Ireland was in the 7th century, and the greatest early medieval philosopher was an Irishman, Eriugena. [Boyle] therefore had a powerful vested interest in the land of Ireland, even if his orientation was towards English life and culture…Consciousness and orientaton aside, Boyle is for the best of reasons – that is material and historical reasons – indisputably an Irish thinker, and no apology will be made for his inclusion here. To adopt what Duddy called “imperially nationalist terms” to define what was “truly Irish” means cutting away our past. To believe science and philosophy are not “truly Irish” pursuits worth celebrating means cutting away our future. To sail into the future, we need many different planks for our boat. For more on the Summer School see this post. 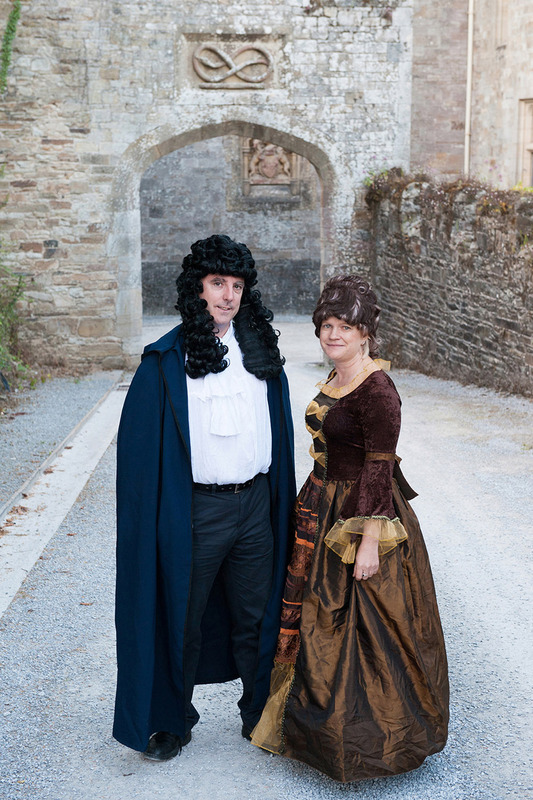 Featured Image: Getting into character ahead of the 5th annual Robert Boyle Summer School in Lismore from June 23 to 26 were organisers, Eoin Gill (Robert Boyle) and Dr Sheila Donegan, Boyle’s sister and collaborator, Katherine Jones. The truth may be simpler, more brutal. Art is fun, facts are boring. Even though they are not read by those who own such places, photos of Joyce, Yeats, Behan, Casey, Heaney, Doyle, adorn pubs and resturaunts all over Ireland. Its still easier to write or read a poem or novel than it is to be a scientist or to have an interest in science, or critical thought of any kind. While art is popular, and so more celebrated because its easier. @Adrian Martyn If writing is easier, how come you don’t know the difference between its and it’s or how to spell restaurant? I think that you’re neither a writer nor scientist, nor anyone who has anything insightful to say about either writing or science. I feel obliged to rebuke this person for claiming that trivialities like correct use of the apostrophe are necessary to engage with literature (not that I necessarily agree with the original commenter’s analysis). As for frankly odious personal insult, I think any reasonable person will discount his contribution accordingly. His being a 4am commenter explains much.